Almost every family will experience a time when work and home responsibilities conflict. Maybe a child gets sick and needs a caregiver, an elderly father needs a ride to a doctor’s appointment, or an appliance breaks and someone must wait for the repairman. 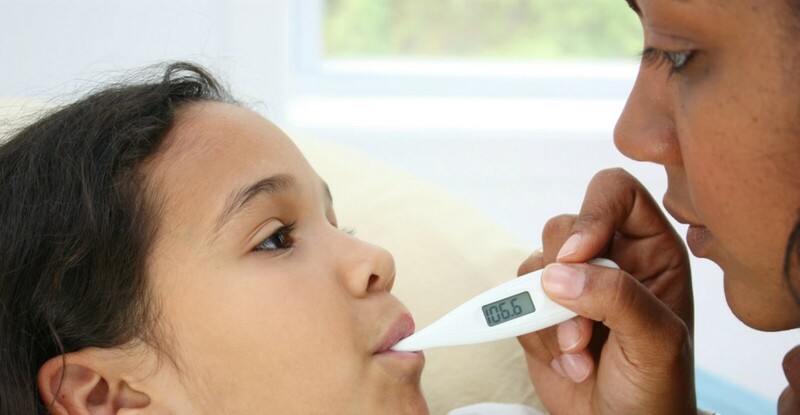 The problems that result from such a conflict can appear insurmountable if both parents in a family work outside of the home and do not have access to paid sick leave or work flexibility. That challenge is at the core of “Who Gets Time Off? Predicting Access to Paid Leave and Workplace Flexibility,” an April 2016 study from the Center for American Progress (CAP), an independent, nonpartisan policy institute. What they discovered is that people who have the greatest need for flexibility—such as those with young children—aren’t always the most likely to have it. The study points out that the United States has no federal policies that ensure the right to access paid leave or flexibility, so it’s up to states, cities, and individual employers to offer such “perks.” That absence of regulation leads to wide disparities in what is available to workers. For example, the 2011 data related to flexibility shows that 39.3% of workers 18 and older had access to flexible days, while 48.7% reported having access to flexible hours, and 22.1% said they had flexibility in work location. Drilling down a bit, the data showed that workers in the 18-24 age group were most likely to have flexible days and hours, while those in the 35-44 age group were most likely to have flexibility of work location. However, the study’s authors questioned whether those younger workers were really experiencing flexibility that was focused on them. Rather, it’s possible that “some of what may be captured by the survey as access to flexibility is really unpredictable and variable scheduling practices.” That’s not surprising, considering the entry-level jobs such workers often have. Among demographic groups, Asians were most likely to have flexibility in all three categories. Those who were least likely to have flexible days and hours were Hispanics, while African-Americans were least likely to have flexibility related to work location. Those racial disparities were among the more alarming findings of the study, the authors said. “Because our model includes all of the other variables discussed here, race and ethnicity should have no statistically significant relationship with workplace policies because the analysis controls for issues such as occupational segregation,” the report said. “However, race and ethnicity do have a statistically significant correlation with access to paid leave and flexibility. Black workers are less likely than white workers to have access to flexible days (5.3%) and flexible work hours (7.2%). When the survey looked at education levels, people with some college were most likely to have flexible days. Those with a bachelor’s degree were most likely to have flexible hours, and people who had earned a post-graduate degree were most likely to have flexibility in where they worked. Occupation also played a significant role in flexibility. People who worked in a service job were most likely to have flexible days, while those in sales and office occupations were most likely to have flexible hours. People in management, professional, and related occupations were most likely to have flexible locations. “Americans who are employed in shift work or lower-wage, service-based jobs face the most severe challenges,” the study reported. “The nature of their jobs often precludes having access to the kinds of flexibility that can enhance work-life fit. For example, many service workers must be on site during business hours to complete their duties and cannot work from home or make up for lost time on weekends or evenings. The study found that even professionals, who have more opportunities to access different kinds of flexibility, may face negative repercussions if they use those options. “For example, mothers earn 23% less than their male counterparts, in part because women are more likely to end up bearing the brunt of family responsibilities and are perceived as less dedicated to their work,” the report said. “In these instances, it is not that flexibility options do not exist for many professional workers, but that expectations and workplace social norms require longer hours or physical presence in an office regardless of whether or not such face time is actually more productive. Based on these and many other data points, the Center for American Progress recommends that workers nationwide be protected through “right-to-request” laws, which would allow them to ask for the type of workplace flexibility they need while protecting them from employer discrimination or retaliation. Currently, New Hampshire, Vermont, and San Francisco have these laws in place. And, as the authors note, offering such flexibility isn’t only good for workers. Which results of this study do you find most surprising? Would you support a national right-to-request law regarding work flexibility? What else could be done at a national, state, or local level to help ensure people have flexible work options? Please share your ideas in the comments section. Hi ! I also worked on this and found the same with Canadian data. The ones who benefit from flexibility and other work-life programs tend to be the ones who have “good” jobs, not necessarily those who need them….they may have precarious and bad jobs with no , or little benefits and flexibility. and am publlishing an article (in French ) in Canadian Public Policy Journal (will probably translate and publish as research note on my website. I’d like to have access to more of your work and this research. Tremblay, Diane-Gabrielle et Émilie Genin (2010). Parental Leave: When First Hand Experience Does Not Measure Up To Perception. International Journal of sociology and social policy. Volume 30 (2010) issue 9/10. Tremblay, Diane-Gabrielle (2010). Paid Parental Leave : an employee right or still an ideal ? The situation in Québec and in Canada. Employee Responsibilities and Rights Journal. vol. 22, no 2, pp. 83-100. Thank you for your comment and for sharing your similar findings! If you’d like more information about the CAP report, kindly visit their website (https://www.americanprogress.org/issues/labor/report/2016/04/26/134824/who-gets-time-off/) — you’ll find contact information there for their team. If you’d like to speak with 1MFWF about our movement, do contact us at info@workflexibility.org. Thanks again!